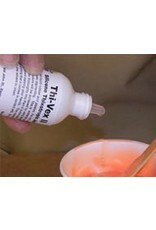 Thickening agent for Smooth-On silicone rubber for vertical surface application (making brush-on molds). Different viscosities can be attained by varying the amount of THI-VEX. THI-VEX is added as a small percentage of Part A and must be thoroughly mixed with Parts A and B. 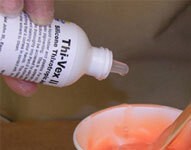 NOTE: THI-VEX is not compatible with Mold Max 40 and is not recommended for use with Mold Max 60 silicone.